You’re not likely to see any wild war dances on the decks of Zulu – the 40m yacht just launched by New Plymouth’s Fitzroy Yachts. But the sleek black hull exudes power, grace and speed – all qualities appropriate to her namesake. Of course, there’s also sumptuous luxury. Zulu is the third Dubois-designed performance sloop built by the New Plymouth yard. She’s best described as a "development" of Fitzroy’s previous creation – Helios. Longer by 1.42m, she has a little more displacement, a taller mast and increased sail area. The extra length provides more volume in the formal saloon, guest accommodation, pilothouse and lazarette areas, significantly transforming these areas and elevating the VIP guest cabin to master cabin status. The pilothouse layout was revised to create an elevated lounge with expansive views to all horizons, and the cockpit was redesigned to provide numerous al fresco options; from intimate dining to grand scale St Tropez banquets, and outdoor movie theatre entertainment. Collectively, the design changes, layout refinements and system developments have produced a unique yacht with its own persona and identity, so although Helios and Zulu share the same lineage, they aren’t twins. 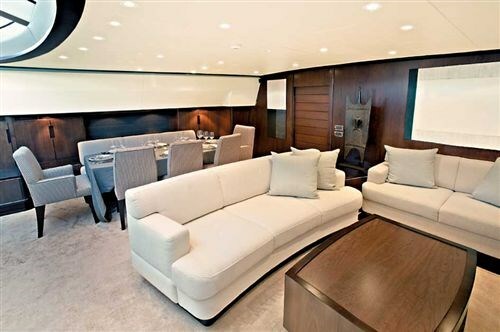 The owners’ brief was to build a yacht without compromise; evidence that this was achieved is provided by their continued endorsement of the design office and yard. One partner is now well into the design phase of a 45-metre, Dubois-designed flybridge yacht and Fitzroy Yachts remains his builder of choice. 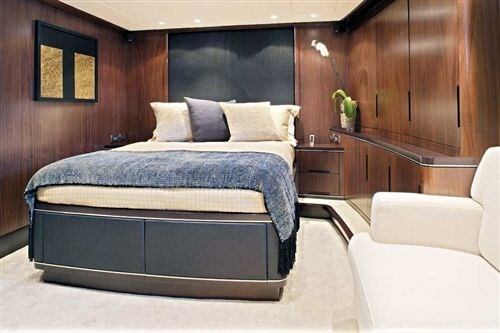 The brief extended to creating a modern yacht, one notable for its sleek exterior lines and contemporary interior. Zulu’s relaxed interior atmosphere is generated in part by a fashionable mix of satin walnut highlighted by wenge and chrome accents and complemented by cream, teal and charcoal fabrics. The light coloured linen carpet, ample natural light and generous cabin volumes also contribute to a calming ambiance. 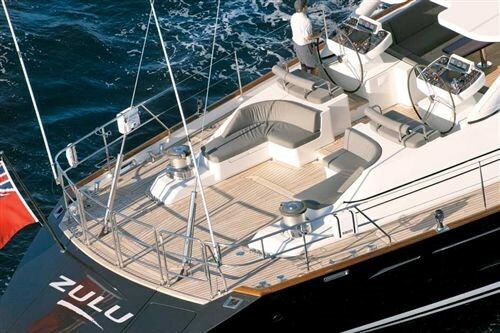 Zulu carries the hotel services, three crew cabins, vessel monitoring and engine room access forward, with substantial owner and guest areas located on three levels aft of the main water tight bulkhead. Up to ten guests can be accommodated in four cabins, each serviced by a generous en suite. The cabin layout has the flexibility to meet a range of owner and charter requirements; from accommodating children and grandchildren, to hosting business VIPs and affluent charter guests. The master cabin takes pride of place aft and it is accorded all the amenities befitting a cabin of its stature, including a double vanity en suite, double settee and personal computer area. The VIP guest cabin approaches master cabin proportions and both twin cabins are optimised with Pullman berths. The galley gleams with an array of stainless steel appliances and splash guards that reflect in the granite bench tops. A large under-floor freezer provides expedition capacity and the hob/oven is gimbaled so that gourmet meals can be prepared while underway. Zulu was motored from New Plymouth to Auckland four hours after launching; a 40-hour open-ocean voyage that went faultlessly and confirmed Fitzroy’s pre-launch testing procedures. The world-class engineering that underlies her is clearly visible in the engine room and even the pipe-work underneath the floor plates is polished and presented as a feature. 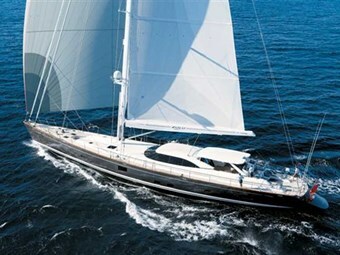 Under sail Zulu is optimised for fast cruising and regatta racing. Carbon spars by Southern Spars and carbon spectra sails by North Sails form the foundation of her performance-oriented rig. 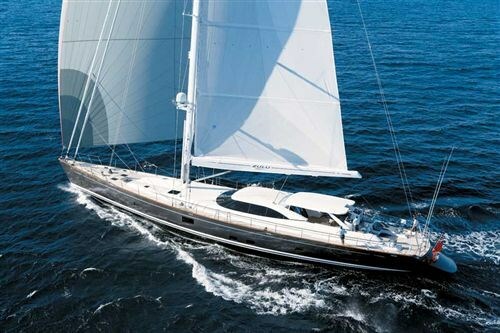 All hydraulic furling and winch systems are up-rated to enable fast tacks and gybes, and the halyards are hydraulically tensioned to achieve optimum sail shape. Zulu will sail to a base in the Mediterranean via the Panama Canal. She will arrive in time for Dubois Naval Architects and Fitzroy Yachts to display her in the Monaco International Boatshow as a prime example of their respective crafts.